If you live in Nova Scotia and you’re trying to adopt a Bengal kitten or Bengal cat, your best choice is to go to a Bengal breeder. These are people who specialize in this breed and really understand the personality traits and how to care for them. If you’re hoping to find a Bengal cat at an animal shelter, you’re out of luck. Bengal cats are an exotic breed and this makes it extremely unlikely one will ever end up there. Finding a Bengal cat breeder in Nova Scotia can be difficult, but we’ve done all of the hard work for you. 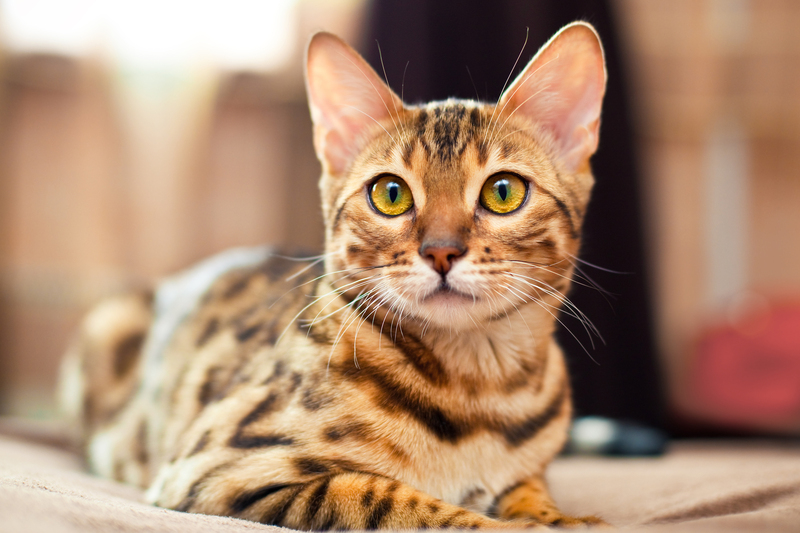 We’ve spent hours researching to find all of the different Bengal cat breeders in Nova Scotia and below you can see our list. Use the information below to research and feel free to contact the breeders if you have questions. How They Describe Themselves: We are a in-home cattery dedicated to breeding beautiful high quality,healthy Bengal kittens from superior bloodlines. When you buy a kitten from Hemlock Hill Bengals, you buy a cat who has been loved and well cared for from the day it was born until the day you take it home. We are Tica Registered. How They Describe Themselves: We breed SBT Bengals, this means many generations removed from the Asian Leopard Cat. Our kittens are raised in a home, lots of playing and handling, and they are socialized with small children and our Border Collie Chloe. All of our Bengals including our kittens are have all their age appropriate vaccinations. How They Describe Themselves: We produce outstanding kittens with huge rosettes, very typey, great contrast, clear background coats, and a super "jungle" look! Our kittens are bred from top quality bloodlines, giving us not only fantastic coats, but also wonderful personalities while maintaining excellent health. Not finding what you want with the Bengal cat breeders in Nova Scotia? Sometimes this happens as most small catteries only have one or two litters per year. If you’re looking to adopt a Bengal kitten or adopt a Bengal cat, you have two choices. First, you can find out from the breeder(s) above when litters are expected and be put on a waiting list. Or, you can contact breeders in other areas near you. The Canadian Cat Association has over 190,000 individual cats registered. Since 1960, the Canadian Cat Association has grown and evolved into a registry of great merit, with affiliated clubs across Canada. CCA will continue to look to the future while we carry on the dreams of our founders; to provide the Canadian cat fancy with an association that is governed by its members and dedicated to the well being of all cats.